Growatt products needs to be installed by a Growatt Certified Installer! Inverter is the key component of a solar system, which determines the importance of its technology and reliability. Growatt is always focusing on developing advanced solar inverter technology, and have already got good results in this area. As the first Asian inverter supplier awarded with A+ by Photon Lab, Growatt never stops striving for higher efficiency of inverter. 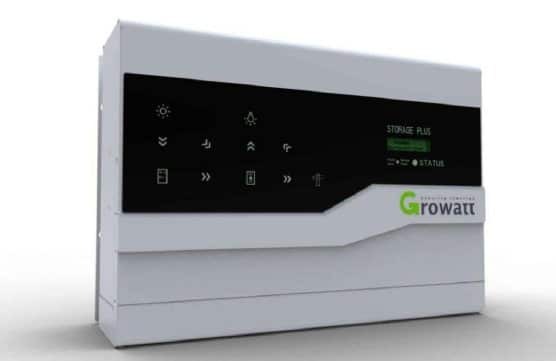 Tested by Intertek in June 2013, the maximum efficiency of new released product Growatt 20000HE-TL3 reaches 99.06%, which is far beyond other inverter manufactures in the world. Besides, Growatt also focus on developing its product as a “smart system manager”, which ensures the maximum energy yield and lowest influence to grid by intelligently monitoring the PV panel and grid conditions and adjusting its own performance. Join our ZEROhomebills Community here. Buy now your Growatt SP2000 Domestic Storage System DC String Battery Controller!